GCM newbie and father and daughter operation Breslin Farms adds wheat flours and heirloom dried beans to the mix. The selection of baked goods—from Hoosier Mama Pie Company’s seasonal pies to Zullo’s apple cider doughnuts—never ceases to sate our sweet tooth, but newbie Peerless Bread & Jam will tempt us to new bread horizons. Every week you can find brewmaster Jared Rouben scouring the market for one great ingredient from one farmer; come Sunday, you can find that ingredient mixed in one keg of seasonal beer at Goose Island (1800 N Clybourn Ave, 312-915-0071). 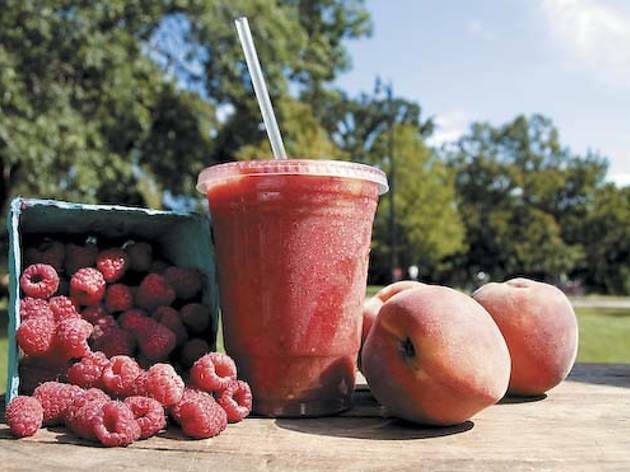 Apple cider, frozen fruit (from peaches and pears to gooseberries and currants) and ice are the three simple ingredients that go in Seedling Farm’s addictive smoothies. With Heartland Meat patties, paired with Brunkow horseradish cheddar, housemade pickles, roasted tomatoes and more, and there’s no denying Sunday Dinner offers some of the best burgers in town. Newbie Jake’s Country Meats contributes to the list of all-natural, pasture-raised meat and poultry with everything from naturally smoked pork chops, fresh kielbasa and spare ribs plus wild-caught Great Lakes fish. 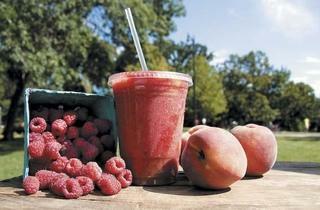 Green City Market takes place at 1790 N Clark St on Wednesdays and Saturdays, 7am–1pm.